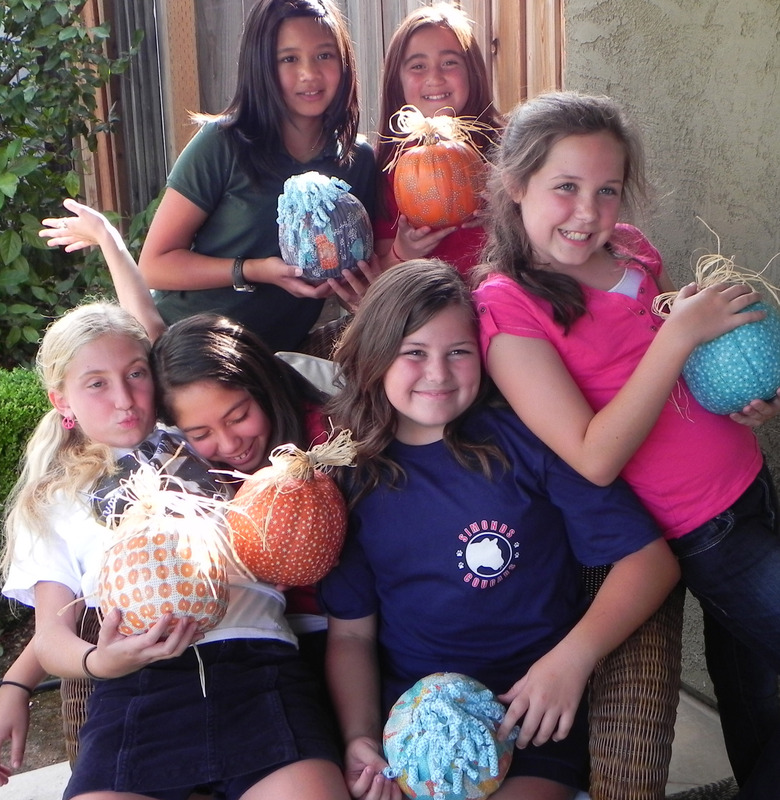 I posted a how-to article for fabric covered pumpkins a few weeks ago and a local Girl Scout Troop decided to try the project. We gave them fabric from our Juicy Blossoms collection and look at the fabulousness that happened! Cute punkins with their cute pumpkins! Girl Scout cookies, Thin Mints in particular, are my most favorite vice and Troop 60306 is my favorite Girl Scout Troop. Nice job ladies, see you at cookie time! This entry was posted on 10/25/11 and is filed under holiday fun, kids stuff, random goodies.